HARLINGEN — The search for missing attorney Ernesto Gonzales is still ongoing. There was proof of that yesterday as Harlingen police investigators were at his law office looking into the case. Police did not confirm what they were searching for, but did say they were at his office located on South F Street. “We are still actively working to find resolution in this case for Mr. Gonzales, his son, and his family,” Police Chief Jeffry Adickes said. 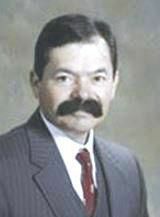 For nearly a year, police have been investigating the whereabouts of the Harlingen lawyer who went missing last July. Harlingen police began searching for Gonzales after his sister reported him missing on July 18, 2017. On July 19, police issued a press release asking the public for help in finding him. Police have tried to track his whereabouts through the use of credit card transaction records and telephone records. “On July 18, 2017, my father disappeared from his law office and has not been seen or heard from since,” the son stated in a court document. Five days before he went missing, Gonzales filed for a protective order against five extended family members. He stated in court papers that he did not feel safe, alleging he had been threatened by two male extended family members. The explanation he states in court papers involves the care of his mother and complaints he filed with the Texas Department of Family and Protective Services. “I have had to carry an unloaded pistol in my truck hidden because I fear for my life,” Gonzales said in an affidavit. He filed his application for a protective order in state district court in Brownsville on Thursday, July 13. The following Tuesday, July 18, a sister reported him missing.